Every design project is different, taking into account the individual aims and factors governing a project, and this means engineers are skilled in creating structures of all shapes and sizes. 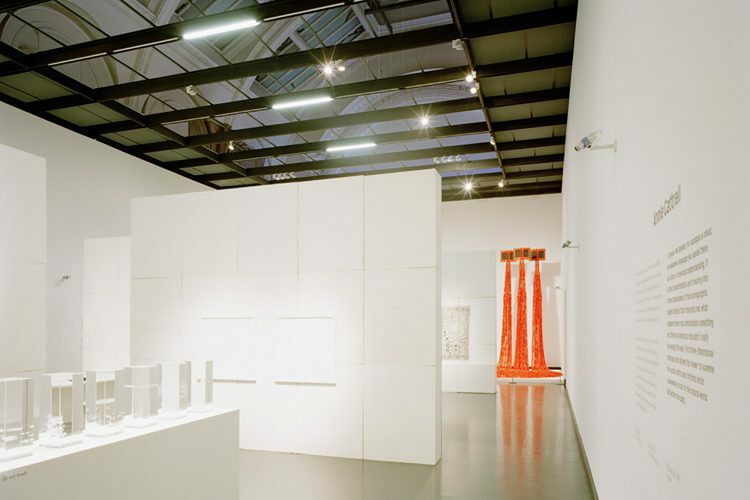 But structures don’t just vary in space, they vary in time – as seen with exhibition spaces. At Lyons O’Neill we love working across the full spectrum of sectors and turning our design skills to unique and special projects. 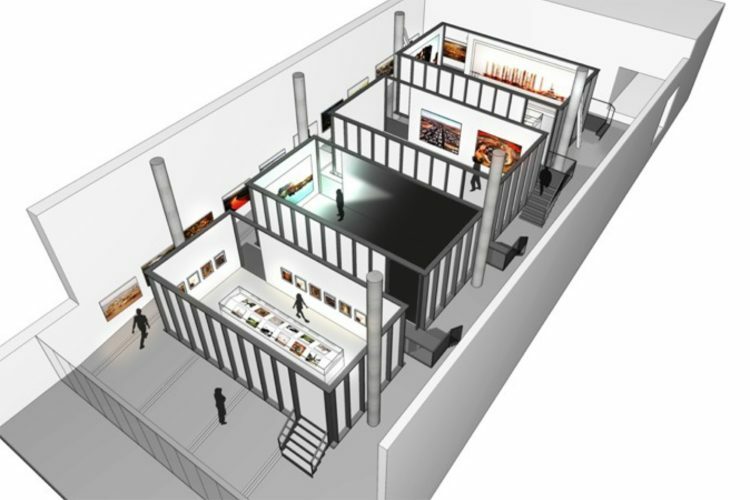 Exhibition spaces can be a challenging prospect as the overall, external structure must be aesthetically pleasing and structurally sound, yet able to be adapted for the changing needs and requirements of individual exhibitions. We’ve been lucky to work with a number of prestigious clients in this sphere, including London’s internationally renowned Victoria & Albert Museum, working on The Porter Gallery in 2006. This project involved creating a lightweight box to form the overall exhibition space, comprising a simple, elegant roof suspended by cables from the V&A’s historic structure. It was crucial that the created internal space was free from obstructions, making it flexible for each curator’s work. The entrance to the space was also designed for maximum flexibility and adaptability between changing exhibitions, featuring five seven-metre high rotating screens, clad in reflective black carbon fibre sheeting, which could be easily reconfigured depending on the curator’s needs. Our exhibition work has also taken our designs overseas, as with our project for Centre For Technology. We worked with English exhibition designers to create a moving exhibit in a brand new exhibition space in Bologna, Italy, made up of a set of modular structures which could be repositioned on a track to reshape the space to suit different exhibition needs. Working with an Italian Clientwas an honour but added a further challenge in terms of language, and especially given the complexity of the project it was essential no detail was lost in translation. However, our company practice of sketching all our ideas right from the outset ensured the principles and details of the design were clearly communicated, enabling us to achieve a stunning result. One of our boldest exhibition briefs has to be our work for Bold Tendencies, designing a series of spaces to house the latest exhibitions celebrating contemporary art, orchestral music, opera and architecture, all located on top of a multi-storey car park in Peckham. This was a case of not only the exhibits themselves being temporary but the entire exhibition space itself – all structures had to be fully demountable and couldn’t be fixed directly to the roof, even the surveillance balloon to be winched from the roof as the exhibition’s centre-piece. If this wasn’t enough, all elements had to be brought to the site in a vehicle no bigger than a transit van! Working collaboratively and thinking laterally provided us with the solutions to these challenges, however, and we developed a concept for a group of silo structures which could be assembled from panels in situ, and demounted at a later date. We also used a system of ballasting through sand bags to safely hold down structures in this exposed location, including the balloon, which could be very easily installed by the team of volunteers. Next time you’re at an exhibition, take the time to have a look at the structure of the space. What you’ll see is a feat of architecture and design, as worthy of attention as the exhibits themselves.